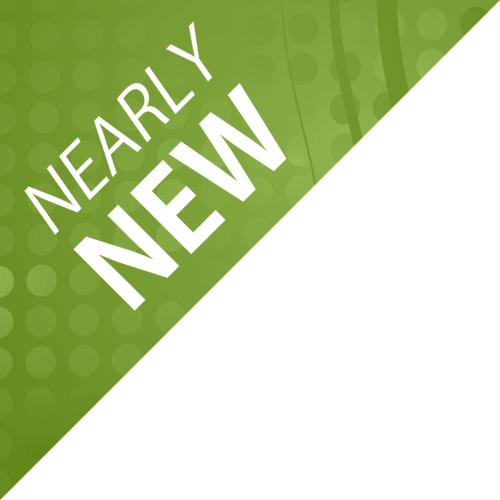 This nearly new product has been opened and tested but is in excellent condition. 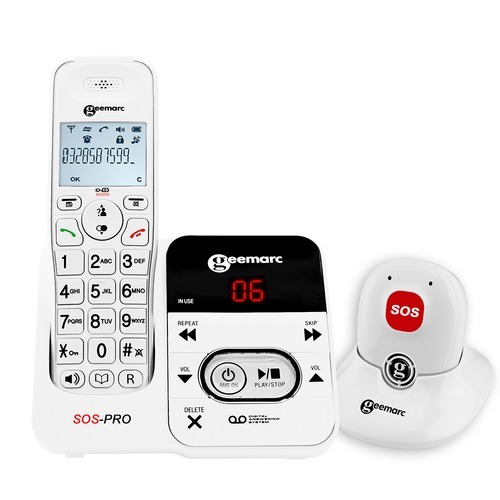 An amplified cordless telephone with built in answering machine, hearing aid compatibility and emergency pendant that has two one-touch memory buttons as well as one SOS button. The pendant, worn around your neck, allows you to answer incoming calls and converse hands free at the touch of a button. The two one-touch memory buttons located on the back of the pendant allow you to make direct calls to your favourite contacts and you can programme up to 4 emergency numbers which will be auto-dialled when you press the big red SOS button located on the front. If your first emergency number does not answer within 60 seconds, it will ring through to the next number in the sequence and so on. 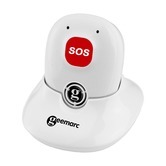 You can also record a personal SOS message that will be played to your emergency contacts - otherwise a default message will be used. With an indoor range of 30 metres this is a good option for anybody who lives alone, who would like extra peace of mind in the event of an emergency situation or fall. 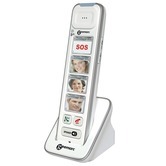 The AmpliDECT 295 phone is an amplified cordless phone with an adjustable receiver volume of up to 30dB! 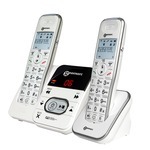 It is a good choice for anybody with a hearing loss and comes with both adjustable speaker and ringer volumes. In the opinion of our evaluation panel, this is a well designed phone with a good sound quality. It does not have a tone control, which means that although it has a good level of amplification, the bass/treble cannot be adjusted to suit your particular hearing loss. Having said that, it is excellent value for money, particularly considering the answerphone facility which is useful for many people. The answering machine offers 15 minutes of recording time, which means you don't have to miss an important message again. This can be also turned off if required and there is a large back-lit display screen that allows you to view the date, time and number of messages. There is also an alarm function which is great for anybody who needs to set reminders. 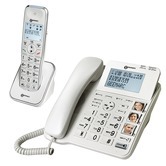 The answering machine has two modes: normal recording mode and simple mode, which will play a pre-recorded outgoing message but will not allow a caller to leave a message - particularly handy if you prefer to use email or text as you can record a message asking them to use an alternative contact method. 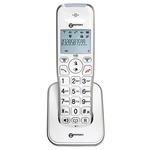 With easy to press buttons this phone is ideal for anybody with limited dexterity and with a streamlined design, it fits really nicely in your hand for comfortable phone conversations. You also have the benefit of the built in speaker phone option which allows you to talk to the recipient at the end of the line, hands free! This phone has a T coil and most hearing aid users will find the level of background noise acceptable when using the DECT telephone handset directly with 'T' with their hearing aid - it is simply a matter of trial and personal preference. Please note, this phone does not have an adjustable tone control. An additional wireless pendant for use with the AmpliDect295 SOS Pro cordless phone.